I have so many great friends who are designers that we are going to start a new monthly blog entitled Designer of the Month. I hope you will take a look at the works of these designers and check out their websites if you are planning a project. They are all top quality and very talented. I am starting this new feature with Philip Gorrivan as he is a designer I have known for over 25 years (since before he was a designer actually!) I am also very fortunate to have just listed Philip's Washington home for rent during the months of June and July. 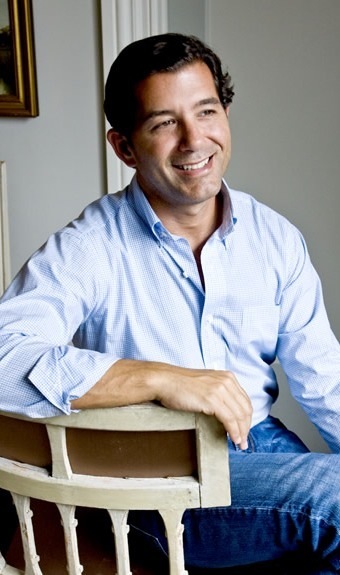 In 2001, Philip opened the doors of his company, Philip Gorrivan Design, in New York City. One of the most sought after interior designers, Philip's great sense of style and taste are enhanced by a true understanding of the decorative arts, art history and architecture. Recent commissions for the firm include a residence for a middle eastern royal family, a restaurant in Manhattan, as well as apartments and houses for celebrities and business leaders in New York City, London, Deer Valley Utah, Connecticut and the Hamptons. 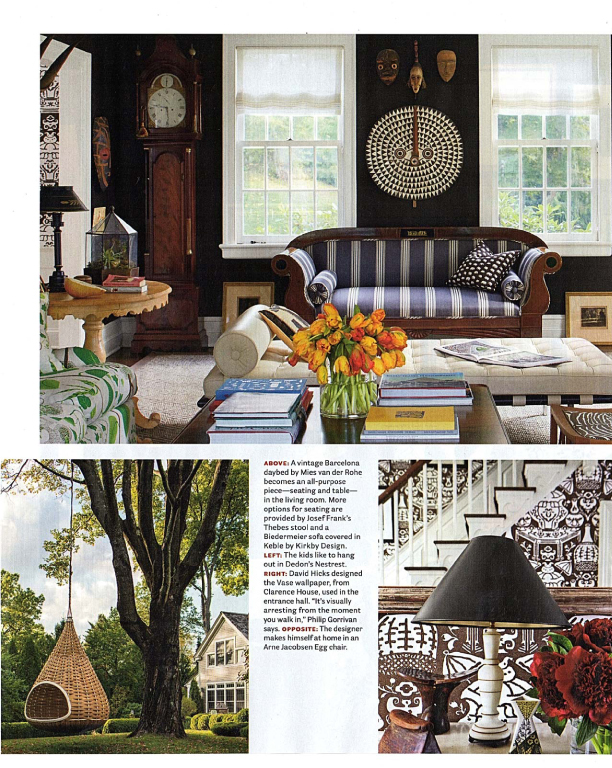 The home featured in the photos below and in this month's House Beautiful, happens to be in Washington, CT. The lyrical quality of the design is evident in the chic wall coverings, fabrics and carefully edited decorative objets. 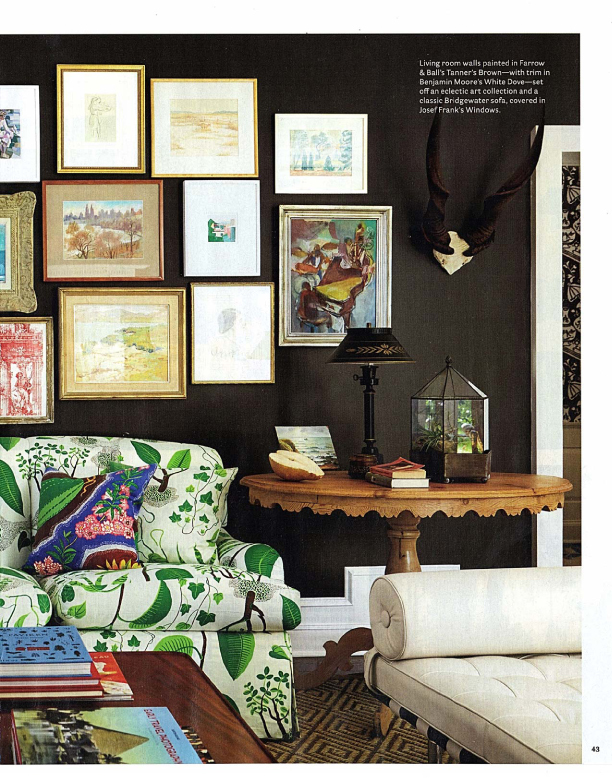 Here is a lovely living space with chocolate walls, exquisite art and fabric that gives a pop of color. The photographs show the gorgeous mix of color, fabric, pattern and design elements. 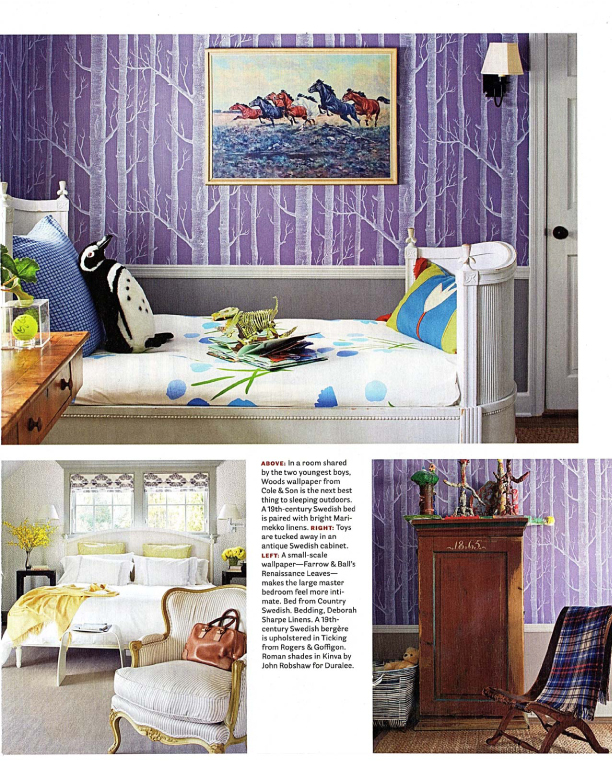 Please note all images are courtesy of House Beautiful. We were able to ask Philip some questions about his life in Connecticut and about this current design project. You have a house in Washington, what is it that you love about the town? There is so much I love about Washington; where it is in the Litchfield Hills, the vibrant town and the community. Here, there is no need for house guests as there are the most interesting people among the locals and weekenders who are our friends. I am big gardener and my garden inspires as does Mother nature in general as well as travel. What are the three most important elements of design? Rooms need narrative, authenticity and of course actual design. What designer from the past do you most admire? David Hicks, he had a way of designing rooms referencing the past and with modern style. He had a great sense of the color, balance and scale. I also admire the work of Jean Michel Frank. What are the different considerations for the interior design of the rooms in an older, historic house? Whether it is a pre-war apartment, a modern house or a classic country home, you must think about the vernacular of the architecture. You have to be conscious of where you are and what you are designing in. It also is also important to have a collaborative relationship with the client. What is your favorite restaurant, shop and outdoor activities in Litchfield County? I love Community Table In Washington, CT. The food is extraordinary and it has a very hip vibe. I also enjoy shopping at Pergola in New Preston which is beautifully edited and curated. For outdoor activities, I am often found knee deep in my garden or running a loop around the country roads near my house. I also love shopping at the Elephant's Trunk flea market in New Milford or antiquing in general in the area. Tell us about the project that was featured here in House Beautiful. Do you have a favorite aspect of the design? 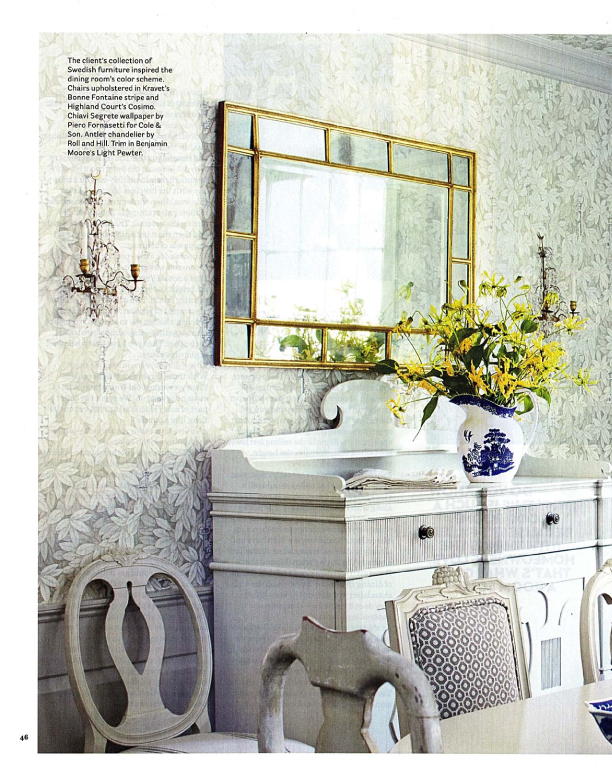 I love the wonderful wallpaper story and the color palettes. It was also a collaborative effort with the client who had collected great decorative objets during travels and over time. It involved editing and styling as much as decorating. There is a larger narrative to the design but all the rooms communicate to one and other as well as telling their own story. I hope you enjoy this virtual introduction to Philip Gorrivan and please take a moment to check out his web site, Philip Gorrivan Design.